Not a bad bunch... Mays, Sutter and Schmidt are HOF'ers... never heard of the Lopez guy, and if I remember correctly, I may or may not have had a bit of a rant in this video about him. If not, it's coming in a future video, so be prepared... haha! A sweet Gary Carter for the mets and then some colored mini's! The Rangers continue their hot streak with the Hamilton mini relic! The Bruce relic is nice as well! The Pirates get on the score board with an autograph!!!! 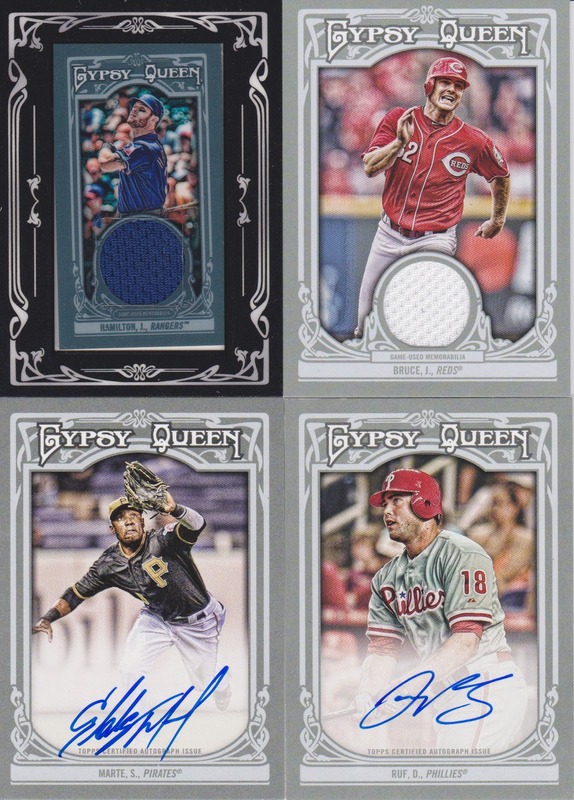 Finally, the Ruf auto puts another card in daddyohoho's stack! 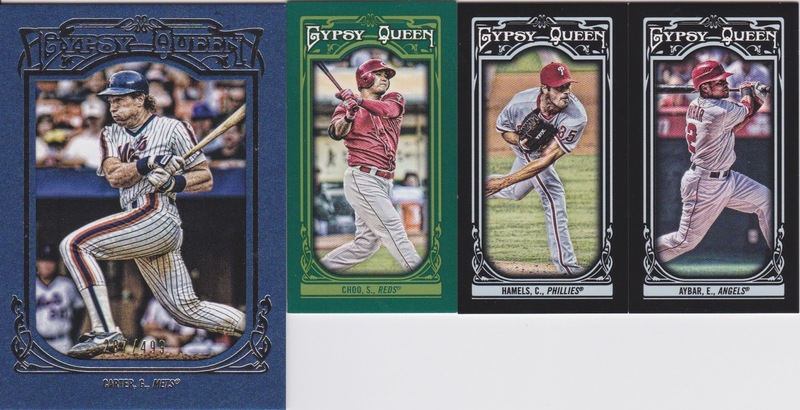 Ranger and Phillies, so far, are the kings of this break! Congrats Bobby, Steve, daddyohoho and myself on this box! Hope everyone enjoyed the announcement of the three complete sets we gave away as part of this set. I know there are 11 slots that didn't get hits and for those who end up hitless and set-less, I wish I had enough sets to give you all something. 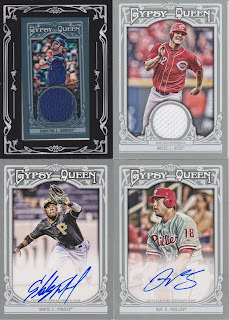 Them's the breaks I guess but everyone has a very nice stack of cards headed their way nonetheless. Lopez managed the Sox to the World Series in '59. He also got the Indians to the World series a few years prior He had a pretty decent playing career and is in the HOF. Granted, it put cards in my stack, but I think it's nice to put a few old time managers on cards. Connie Mack, Stengel, Alston....nice to see guys like them and more on cardboard again. Jeff, I have been having this argument with Topps for over a week on the tweetz - they've since stopped responding. We keep swallowing Topps' tripe that there is a direction to their madness, one of which is bringing kids back into the game, and bringing in '50s managers of the White Sox isn't going to help them. If the collectors as a whole truly want these players, then they should have their own set. I said something along the lines to them, and they replied: "Niche sets are hard to sell." This is an outright lie, and I have called them out on this. I mean look at us, I bought two teams for this break, over $70 I am sure (which was my own mistake, but I knew what should be expected from Topps at this point), and I am getting destroyed. 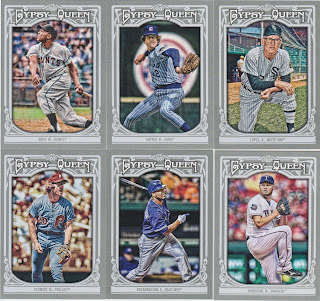 Eleven teams without hits, back-to-back mini doubles in the same box, duplicate autographs, terrible collation. Nothing against your comment or Sam's break (we all thank you, Sam, none of the rest of us have the balls to take this on), but we as collectors need to stop celebrating Topps' mini victories and start trying them for their every day atrocities. I totally agree with you on this Roy-Z . I picked the Twins on this break , just to get in it. If it weren't for Sam & the way he does the Breaks , I would not have !! 2 Thomas Minis in the same Box !! 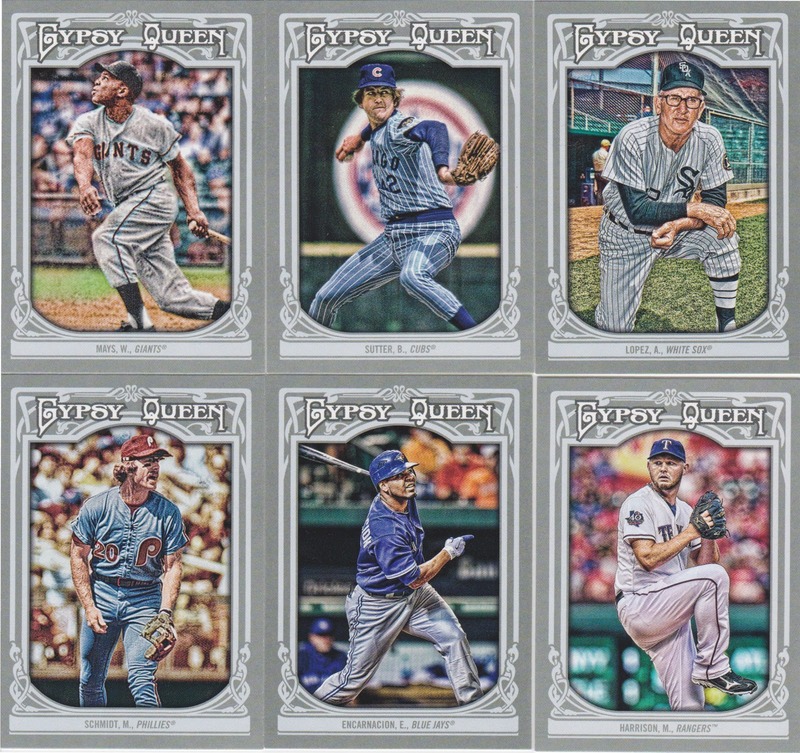 There are going to be some that don't get only a Insert or two , And Maybe 1 Mini in the whole 10 Boxes !! And it all comes down to Topps inability to do its job !!! They are so big now, And the only large one licencsed , They feel what we say doesn't matter anymore . THANKS SAM For standing up for us !!! Roy-Z if you have any Tigers extras you want to trade , I'd be Intersted ! !